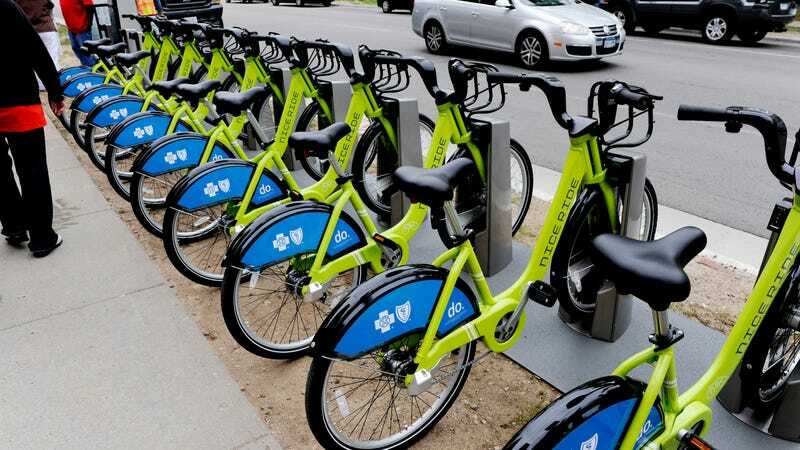 A Chinese bike-sharing company, Wukong Bikes, had to close up shop because, according to the BBC, 90 percent of its bikes went missing in the first five months of operation. Why that happened shouldn’t come as a surprise when you hear that, remarkably, Wukong didn’t put GPS systems on the bikes. Oops. According to the BBC, Wukong didn’t realize in time that GPS tech is “necessary” before its “money had run out.” In other words, they fucked up. China has a thriving bike-sharing industry, the BBC says, and Wukong’s demise is understood to be the first known bankruptcy in it. Maybe billing the company as “Uber for Bikes” wasn’t a smart move, but relying on low-quality bikes, too? Sounds like it was doomed from the get-go.